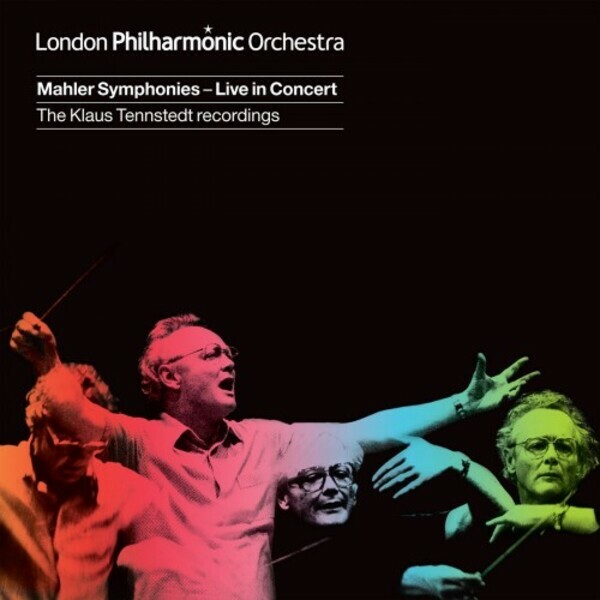 This 9 CD boxed set features live recordings of a selection of Mahler’s symphonies, documenting the extraordinary relationship between Klaus Tennstedt and the London Philharmonic Orchestra, which was characterised by life-affirming concerts and a genuine connection between musicians, conductor and audience. Each symphony in this boxed set has been previously released on the LPO label to critical acclaim. Exclusive to this collection, however, is an earlier performance of Mahler’s Symphony No.2, recorded in 1981, and starring soloists Heather Harper and Doris Soffel. Reflected in the recording from 1981 is a conductor in good health, clearly revelling in his relationship with his ‘romantic orchestra’; while the 1989 performance features a last movement that is of truly epic proportions. What we hear is that what Tennstedt lost in physical wellbeing in the intervening years, he more than made up for in dark intensity and angst. This premium boxed set includes a 45 page booklet featuring archive images, press cuttings and anecdotes as well as accompanying texts and programme notes. Packaged in a specially designed clamshell box, this premium product is a real collector’s item. The collection features performances from star soloists including Thomas Hampson, Yvonne Kenny, Jard van Nes, Júlia Várady, Jane Eaglen, Susan Bullock, Trudeliese Schmidt, Jadwiga Rappé, Kenneth Riegel, Eike Wilm Schulte and Hans Sotin. Recorded live at Southbank Centre’s Royal Festival Hall and the Royal Albert Hall.